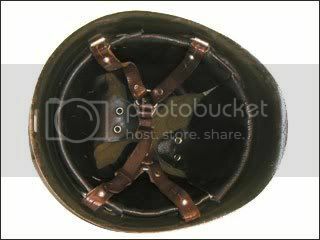 Romania used the French Moden 1915 “Adrian” steel helmet with their own distinctive badge on the front. 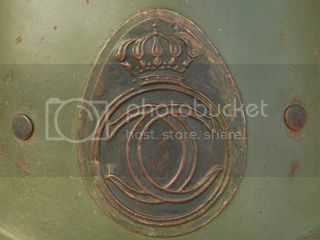 This emblem is for King Ferdinand of Romania. 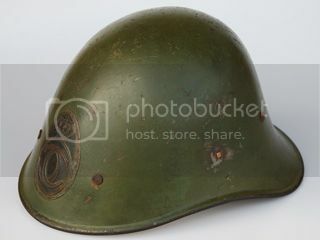 Romania used a variety of Dutch-produced steel helmets during World War II including the Dutch M-34 helmet with a distinctive King Carol badge, called the Romanian M-38. 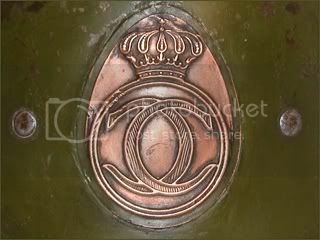 After King Carol II went into exile the use of this emblem was discontinued. 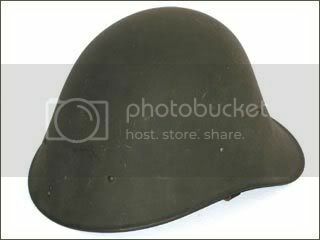 After the Germans occupied Holland in 1940 the Romanians continued to be supplied with Dutch helmets. 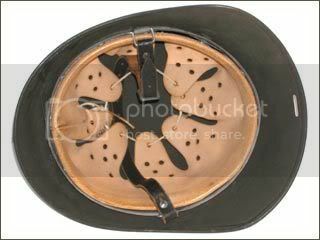 This model features the distinct King Carol II crest and a Dutch style liner. 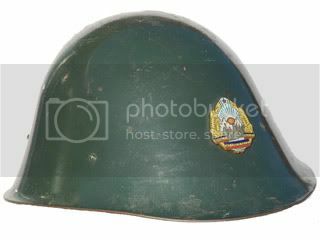 This model of the Romanian M-38 features the distinct King Carol II crest but with a German M31 style liner, suggesting it was a transitional period helmet - possibly one of the final ones to receive the King Carol II crest. 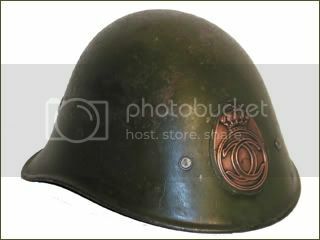 Romania used a variety of Dutch-produced steel helmets during World War II including the Dutch M-28 helmet with a distinctive King Carol badge, called the Romanian M-38. 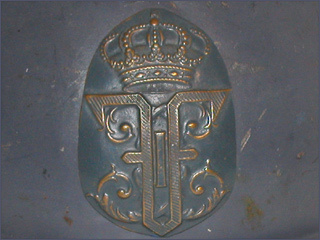 After King Carol II went into exile the use of this emblem was discontinued. 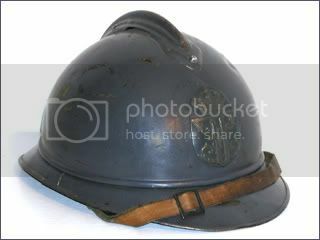 After the Germans occupied Holland in 1940 the Romanians continued to be supplied with Dutch helmets. In 1942 a new version of the M-38 was produced as the M-38/42, which was fitted with German M-31 style liners. 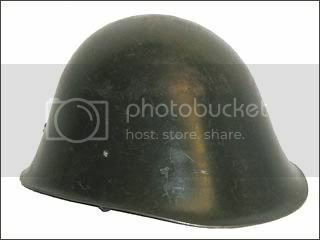 This example features German battleship gray paint and was likely used by rear line Romanian troops, possibly those on the Hungarian border from 1942-1944. 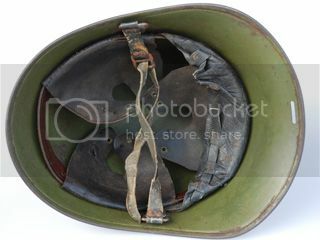 The Romanian M-73 helmet, which was adopted in 1973 following years of using the Soviet SSh-40 style helmet, is based on the pre-war Dutch-designed M-38. 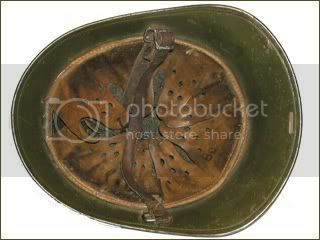 The helmet is seen in a variety of green and gray colors. 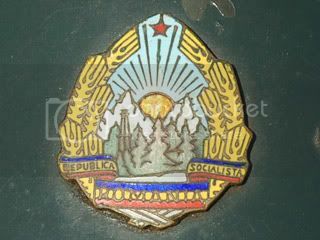 The dress helmet version of the M73 with the Romanian coat of arms on the front. While not limited for parades these helmets were worn by honor guards and in other more formal uses.